For those of you who love the man from Baker Street, I offer up two distinct but equally delectable takes on my second favorite detective. I am late coming to the party with both but I can't help but shout their praises. The BBC Sherlock series co-created by the beloved Stephen Moffet. To quote him: "Conan Doyle's stories were never about frock coats and gas light; they're about brilliant detection, dreadful villains and blood-curdling crimes – and frankly, to hell with the crinoline. Other detectives have cases, Sherlock Holmes has adventures, and that's what matters." 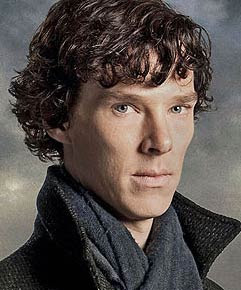 And seriously, Benedict Cumberbatch as Holmes. The fantastic verbal gymastics of speaking his name is enough to tune in. He channels a 21st century version of the shrewd, brilliant, perhaps Asperger laden yet passionate genius. So prepare to lose yourself for several hours over the first season. My favorite moment is when a bomb explodes at the duo's flat. The shout of glee from a previously bored Holmes sums it up rather nicely. 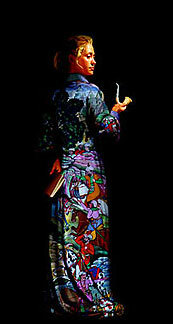 "The Beekeeper's Apprentice" by Laurie King. I had heard the title and knew that people had raved. Recently (I'm really late to the party here) a friend of mine laid out the premise: Holmes has retired to the Sussex Downs to raise bees (part of the Holmesian canon). One day a fifteen year old young woman trips over him and manages to (by a combination of genius and tenacity) become his apprentice. The series continues (I am half way through), and I adore not only how well Laurie King writes in general-- very reminiscant of Dorothy Sayers, but how well she captures the voice of Holmes. She also manages to create a version of Holmes within a woman's body, Mary Russell, the narrator of the story and the young woman who falls over and eventually for the detective. Gah, you say -- Holmes in love??? Believe me, I was there. Huge age difference aside, Ms. King creates a vibrant and tender bond between two people of the same mind.